You may remember from my Newcastle Bucket List that one of the things I haven't done yet is enjoy a proper night out in the Toon. So when my friend Sam said she wanted to organise me a Geordie Hen with my North East friends I thought she might be about to drag me down to the Bigg Market for a kebab. Luckily for me Sam knows me so well that she realised pretty quickly that partying until the early hours in a sweaty club probably wouldn't be my idea of fun. So instead she set about planning me a "Classy" Geordie Hen, gave me a hashtag to use (YES!!!) and kept the location and guest list top secret. Details were kept vague and I was told to put on a dress, dig out some heels and, under no circumstances, was I allowed to bring a coat (you really can't have a proper Geordie night out with a coat on!). Taking my time to do my face I really loved playing about with my most expensive "special occasion" makeup. 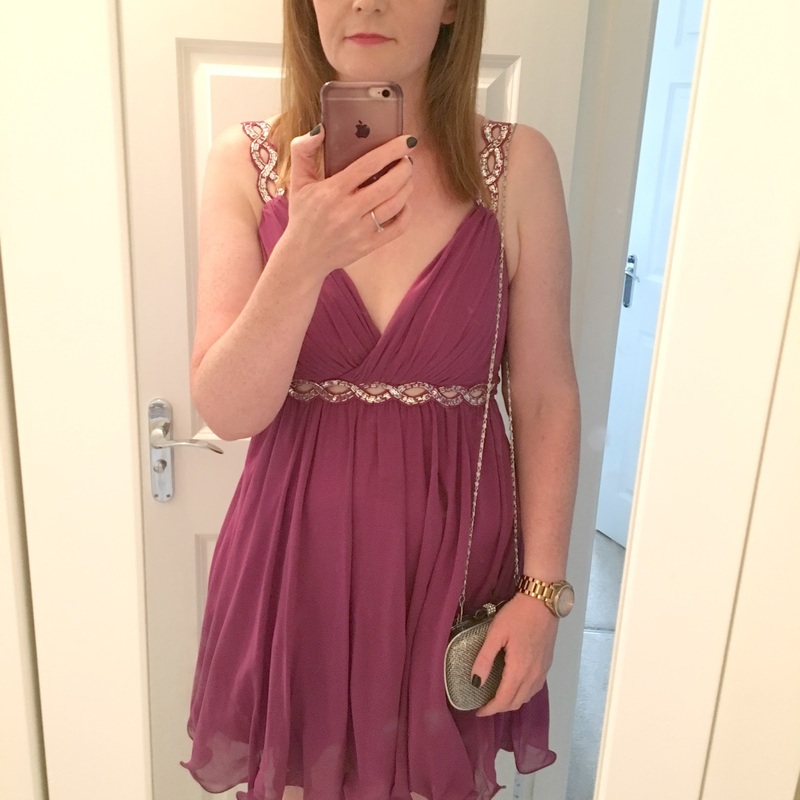 I don't often get the opportunity to really dress up, my clubbing days are way behind me and you can't exactly wear a party dress in Tesco. I have to say I felt pretty over dressed heading to the bus stop with a short bright pink dress on! 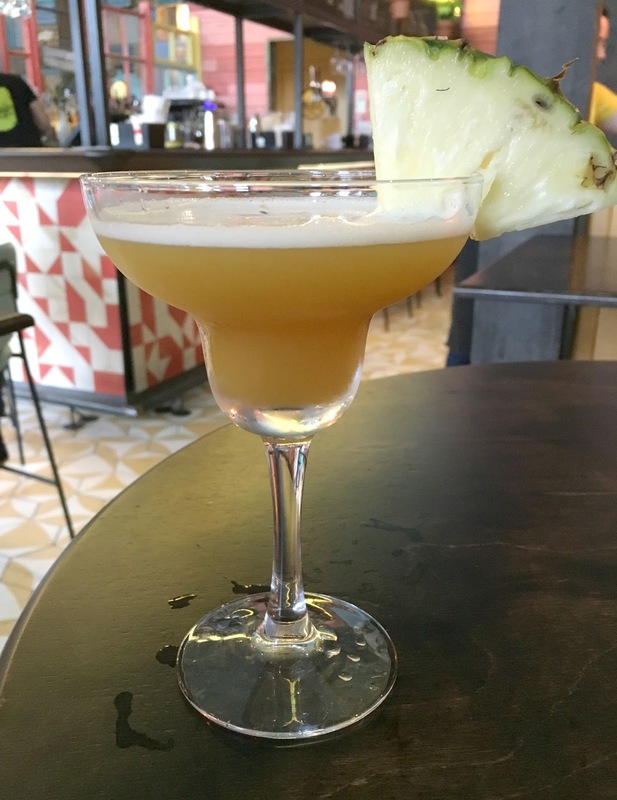 I was told to meet the girls at the newly opened Las Iguanas on the Newcastle Quayside, the perfect start to any night out with its amazing 2 for 1 cocktail offer. With no idea who was going to turn up it was a bit of a "this is your Geordie life" moment with more and more of my favourite ladies appearing through the door. 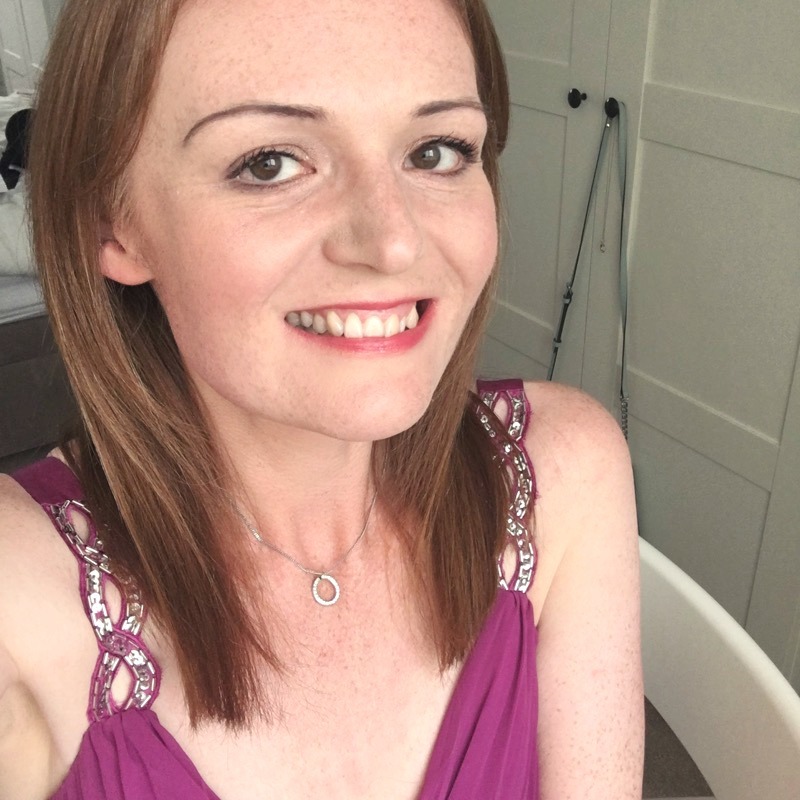 I was so overwhelmed that so many girls came out to celebrate with me and I was so excited to be spending my night with Sam, Lisa, Kayleigh, Katie, Sarah, Kelly, Nyomi and Kate (make sure you check out these ladies' blogs cos they are seriously all amazing!). 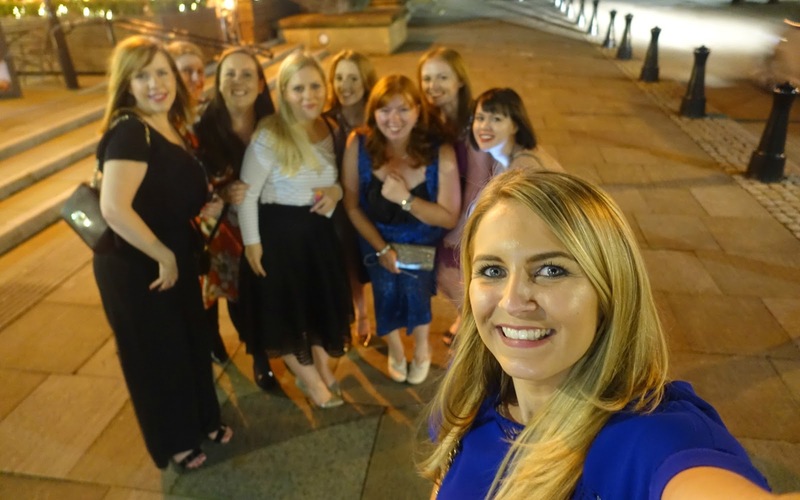 With my friends all being North East bloggers I spend a fare amount of time with them all at various events however we'd never been all together for a night out before and everyone looked stunning. I've never seen a more beautiful group of ladies and there was a serious amount of gorgeous bold lipstick happening. I had thought that we were perhaps eating in Las Iguanas but was so happy when we finished our cocktails and headed next door to my favourite restaurant, Gusto. I realised after I sat down that I've celebrated every important step of the wedding there! With glasses full of Prosecco, plates piled high with food and a bottle of wine chilling in the corner we had a great catch up and had a giggle passing around "that" photo of Orlando Bloom on a paddle board. The beauty of wearing heels is that it's perfectly acceptable to get a taxi from the Quayside up to Toon so we all piled into cars and made our way up the hill to our last destination of the night, Turtle Bay next door to the Gate. 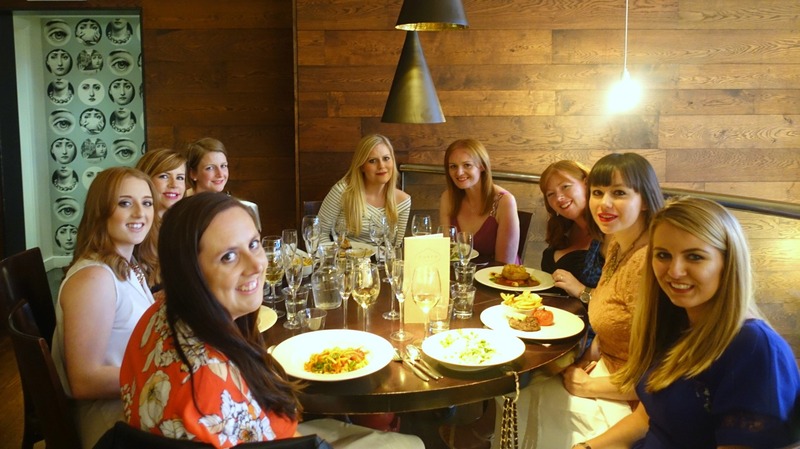 Seeing all of the general madness out on the streets in Newcastle on a Saturday night I was very happy to bypass some of the more popular hen night destinations and head into the chilled atmosphere of Turtle Bay. We'd hit lucky with the cocktail deals starting at 10:00 pm and soon we all had a cocktail in each hand. I've said it before, but I'll say it again, I am so thankful to have met so many wonderful friends through blogging. I never expected to be involved in such a thriving network of North East bloggers and the fact that I can now call many of these ladies friends is a great feeling. My Geordie Hen was over and it was time to say goodbye. Although part of me wanted to stay out longer and have a little dance I knew I had to save my energy for my weekend hen - us oldies can't be going too crazy! Ah it was such a nice and chilled night with lots of gossip and giggles - special thanks to Nyomi for providing the eye candy :D Who needs a stripper?? Ahh! It sounds like you had a great evening with a bunch of fab ladies.